Beavers is the first stepping stone into Scouting for young people and is a good way for your child to make friends and get active. 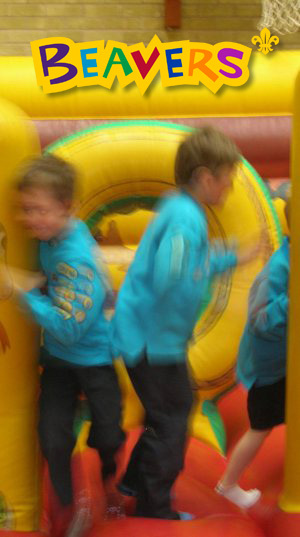 The main focus of Beavers (as given by it’s moto “Beavers Have Fun”) is to have fun but at the same time we also try and teach and develop new skills and help build up confidence. From arts and crafts to sleepovers and activity days there something for everyone. In addition to the wide range of activities run by the different groups on a weeknight we also run big District Events involving all of the Beavers from around the Tamworth District. At these events we do lots of fun things, such as obstacle courses, games, painting, making things, meeting new people (or animals like spiders, snakes, lizards and owls), singing funny songs… so much, in fact, that there isn’t enough space to tell you about it here. Anyone aged 6 – 8, boys and girls. There are Beaver colonies running all over Tamworth on different nights of the week. To find out more about Beavers in Tamworth contact us.